Start with new document (ctrl+N, cmd+N on Mac). It’s up to you what size, background color you need. 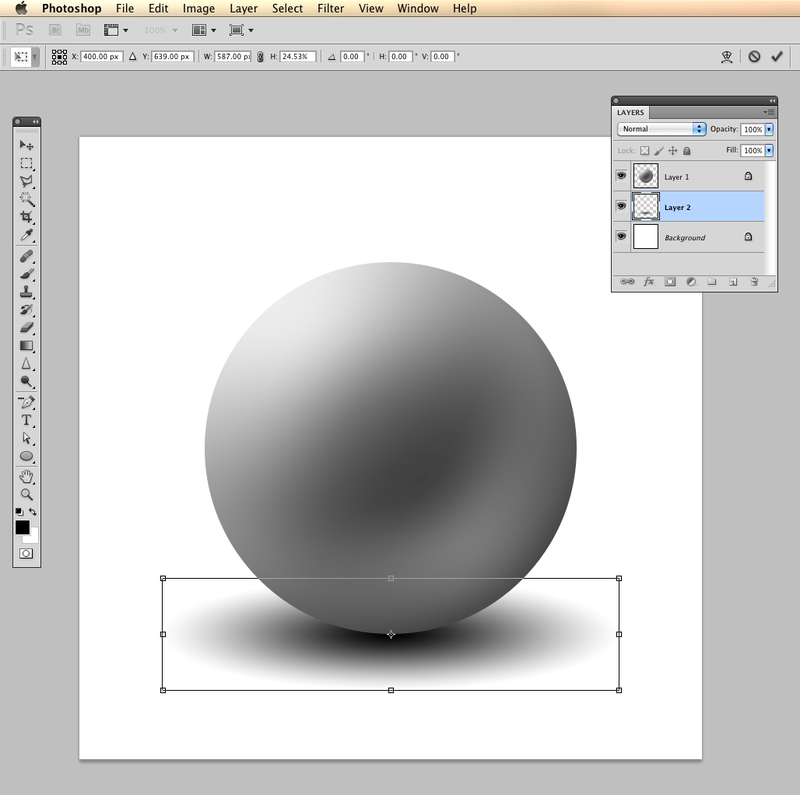 For this tutorial, I used 800px x 800px, and white background. Important thing is that you work in RGB for this tutorial, as blending mode works different in CMYK mode. 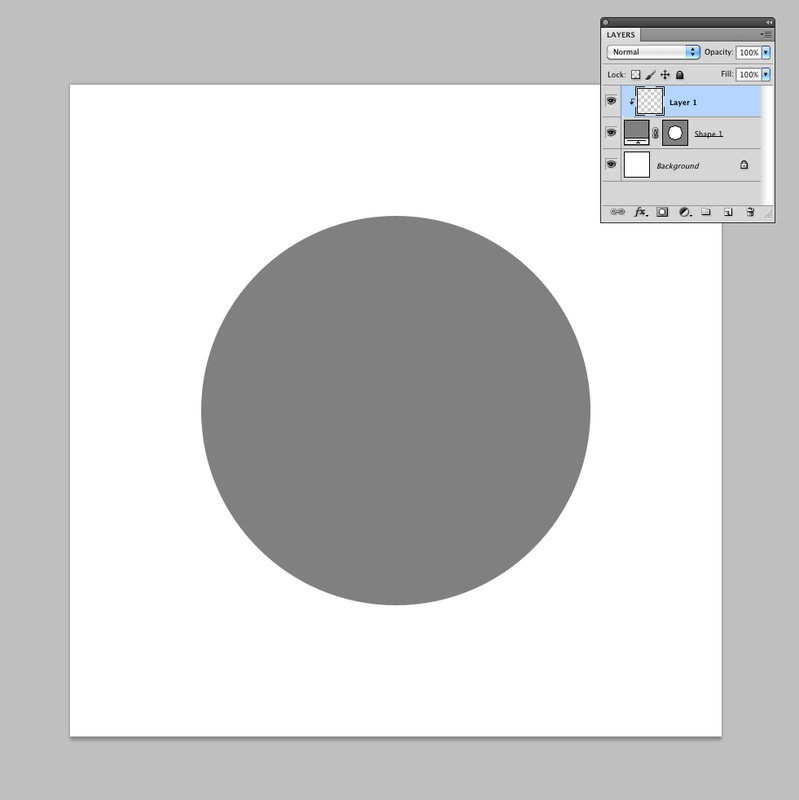 Select Elipse tool (shift + U to switch between different shapes) and draw a grey circle shape in the middle center of your document. 3. Fill circle with gradient. There are many ways you can do that. 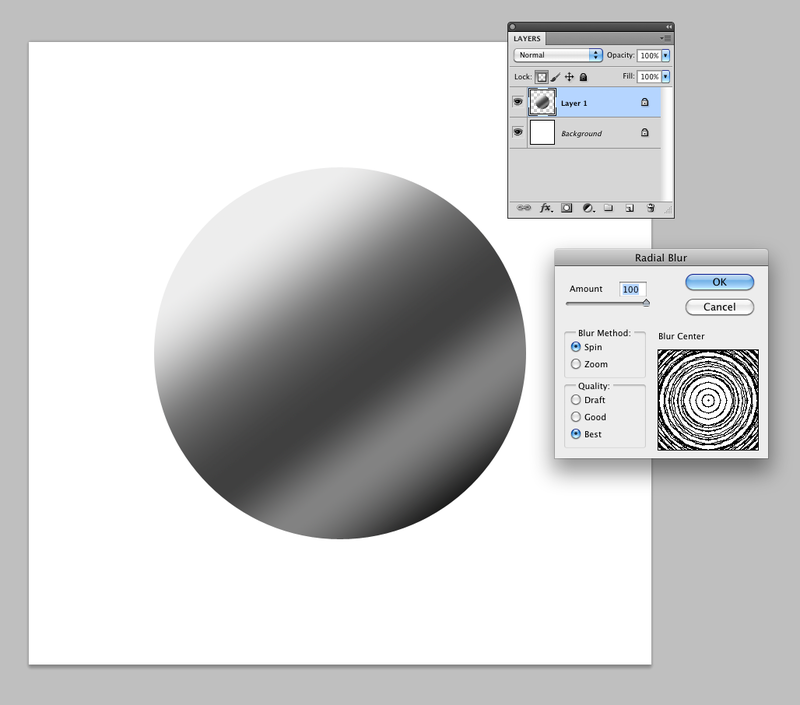 For this tutorial we’ll be using second layer, linked with shape. 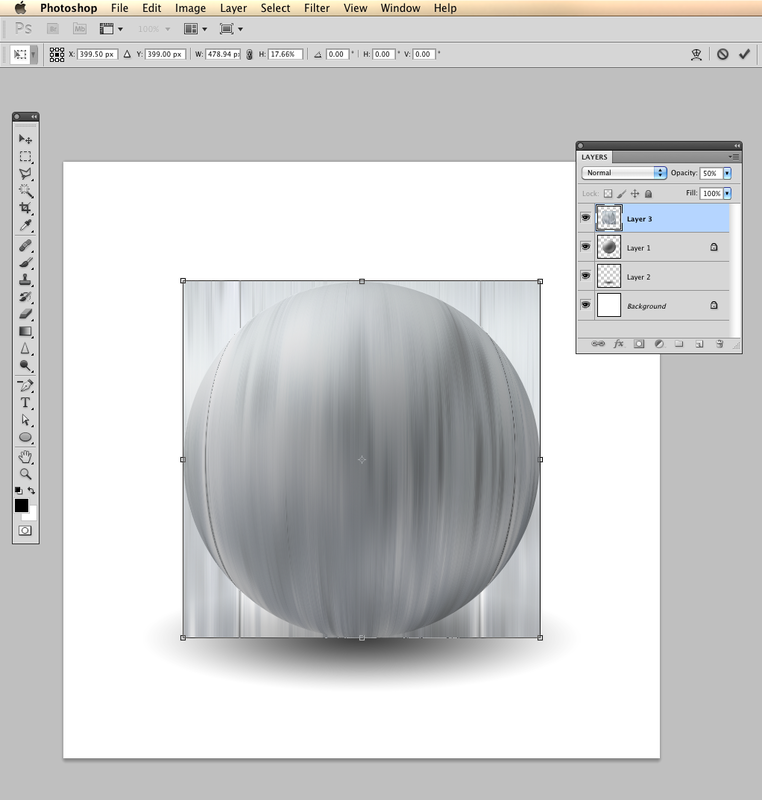 Create a new layer, and link it ( alt+click between layers ) with previously created shape. 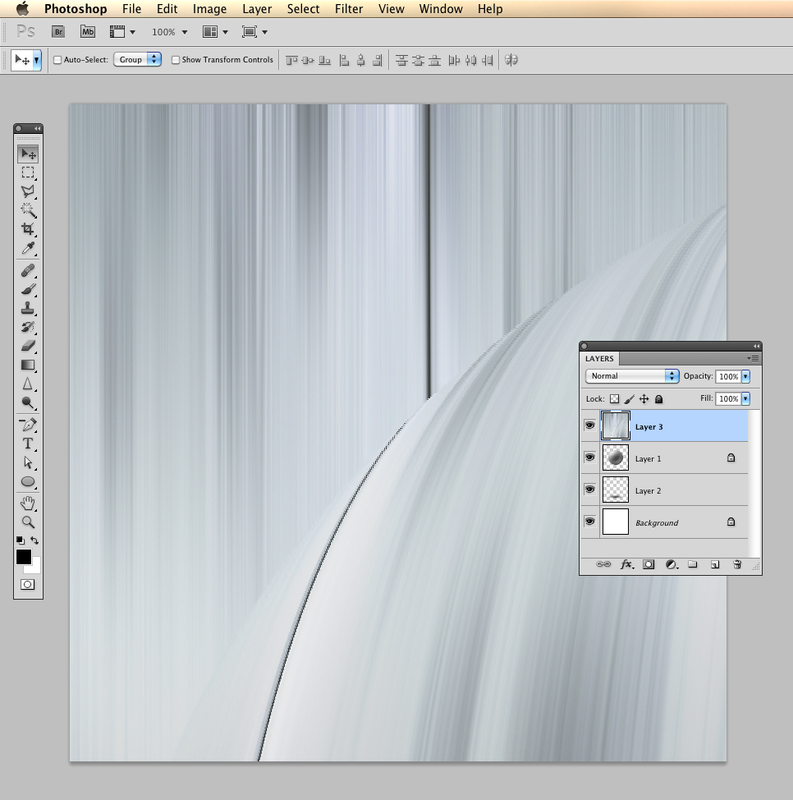 Fill new layer with metallic kind of gradient as shown on screenshot. Try different gradients, and angles, see how it change final effect. 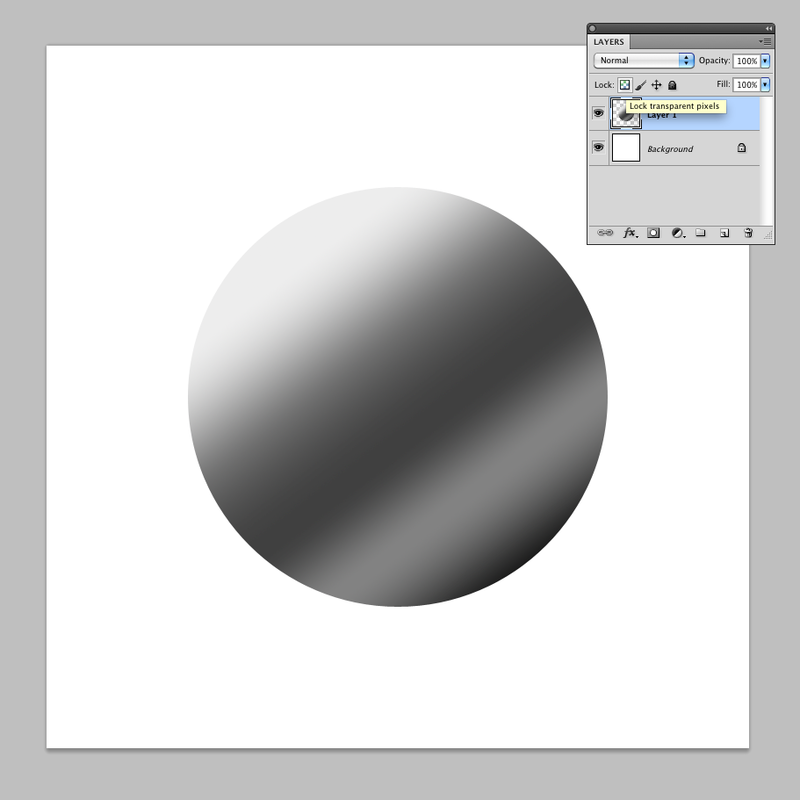 Click on “Shape 1” layer in “Layers” window, hold Shift key, and click on “Layer 1” gradient layer above, than right click on selected layers, and choose “Merge Layers” from context menu. 5. Lock transparent pixels on created layer. Simply click on transparency pattern icon to lock all pixels around the shape. 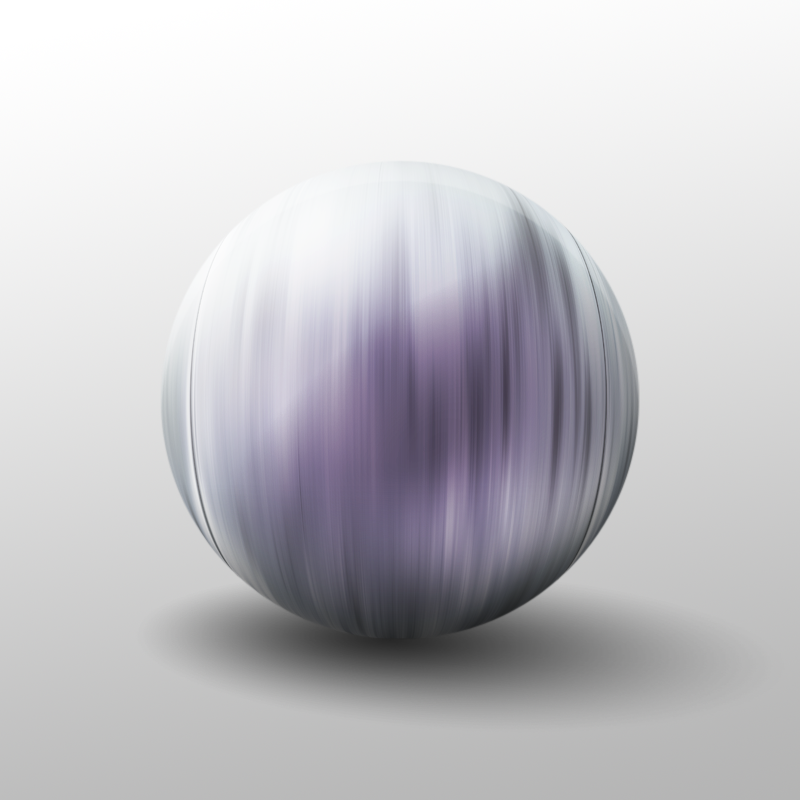 This is important for next step, so the radial blur will affect only gradient, and will not touch shape. 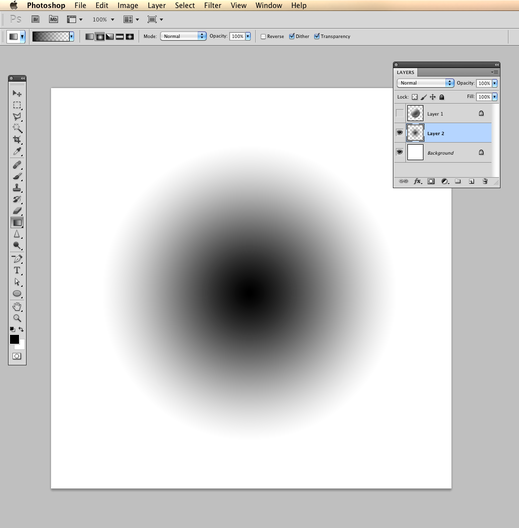 Go to Filter -> Blur -> Radial Blur, than apply it with settings: Amout 100, Blur Method: Spin, Quality: Best. You can skip this step, if you don’t need a shadow. 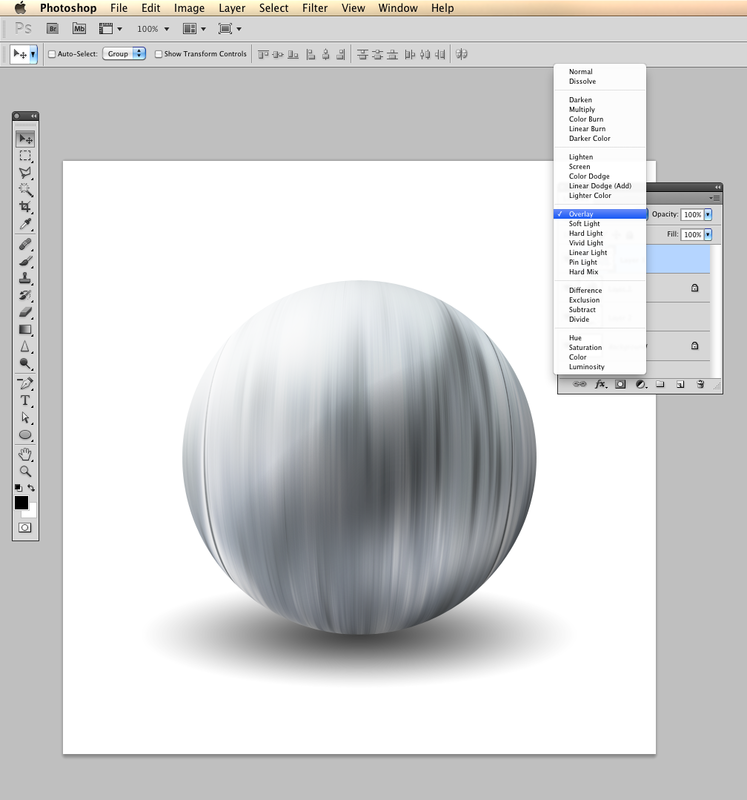 Create a new layer (ctrl + shift + N, cmd + shift + N on Mac) below our ball layer. 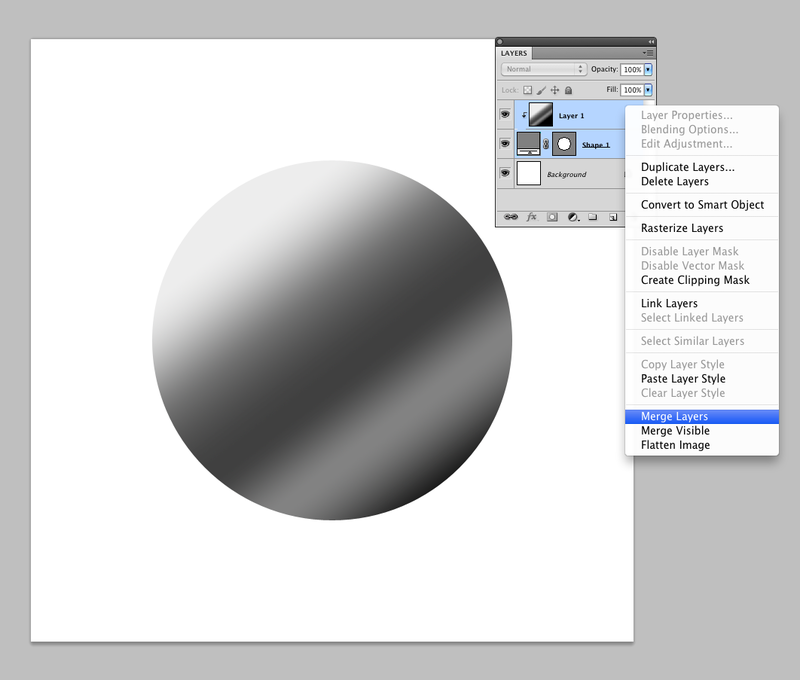 Select gradient tool, and set black as foreground color. From gradient presets take that one, that goes from black to transparent. 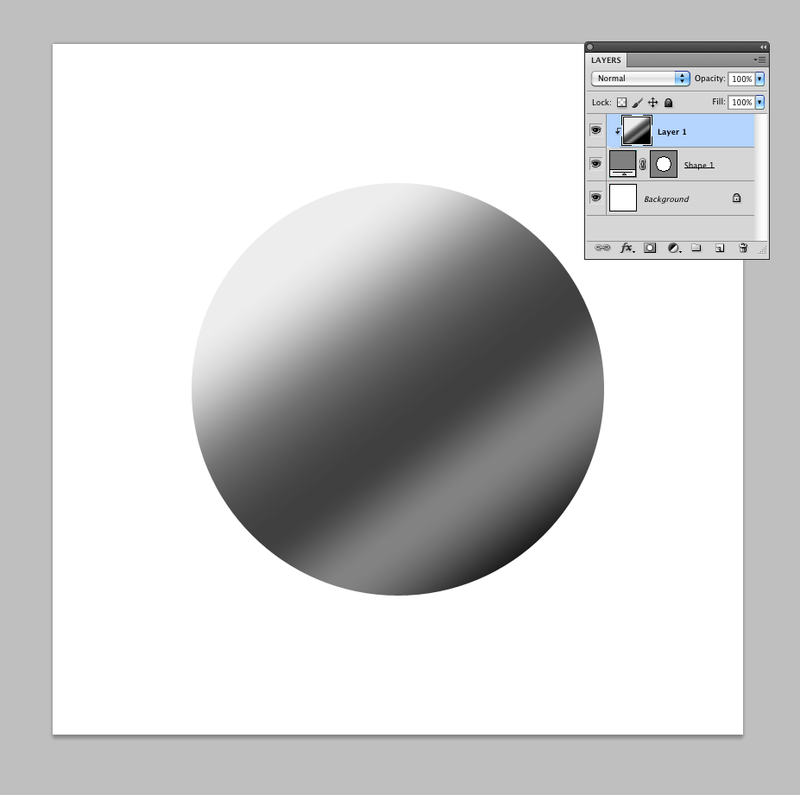 Draw a nice radial gradient from middle center, to the ball edge. Now, reduce gradient height (ctrl + T, cmd + T on Mac) to the size that gives you expected point of view. Ok, it’s time to prepare a texture. 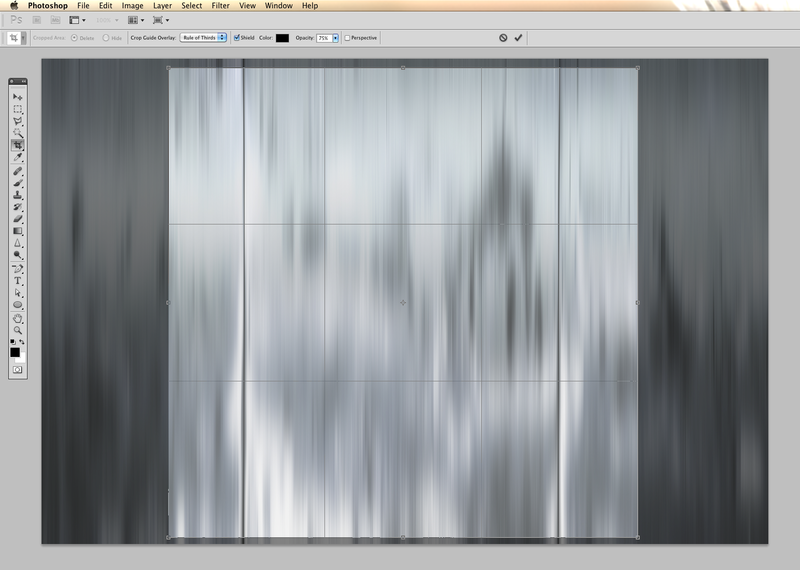 Open a texture file, and crop it to square. To do that, siply select crop tool (C), and with pressed shift key click, and drag your pointer on graphic. You can always correct your crop when you are not happy with it, scale it using handlers (keep shift pressed to avoid aspect ratio change), or move it. Finish this action by hitting Enter key. Ok, so we need this texture to be wrapped on the ball. There is a very simple filter, that will simulate that effect. Go to Filter -> Distort -> Spherize. Apply filter with default settings. 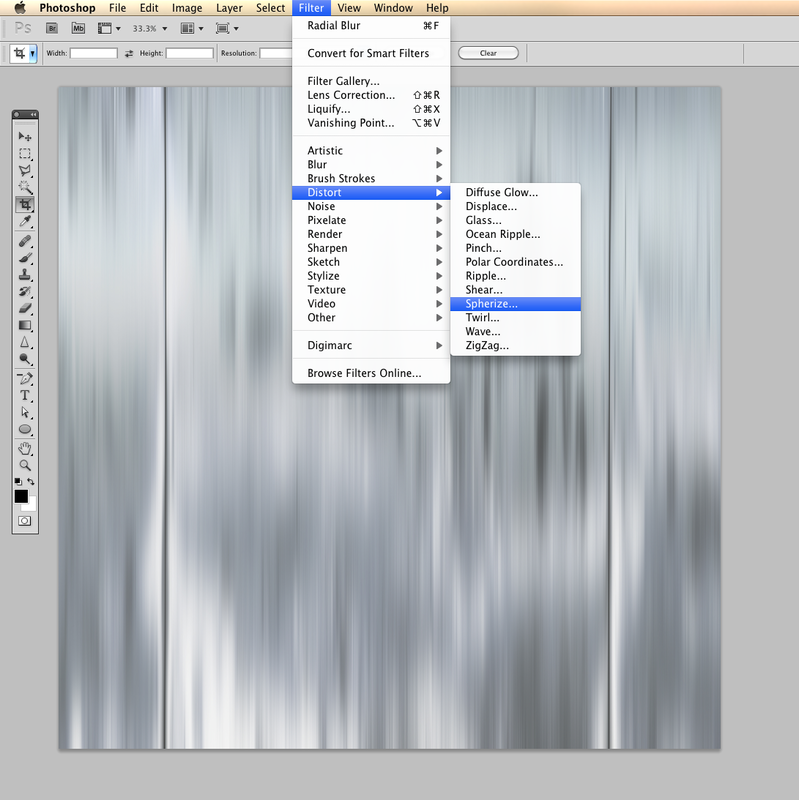 When you are ready, drag your texture to the file we’ve been working before. Make sure it’s over ball layer in the layer stack. 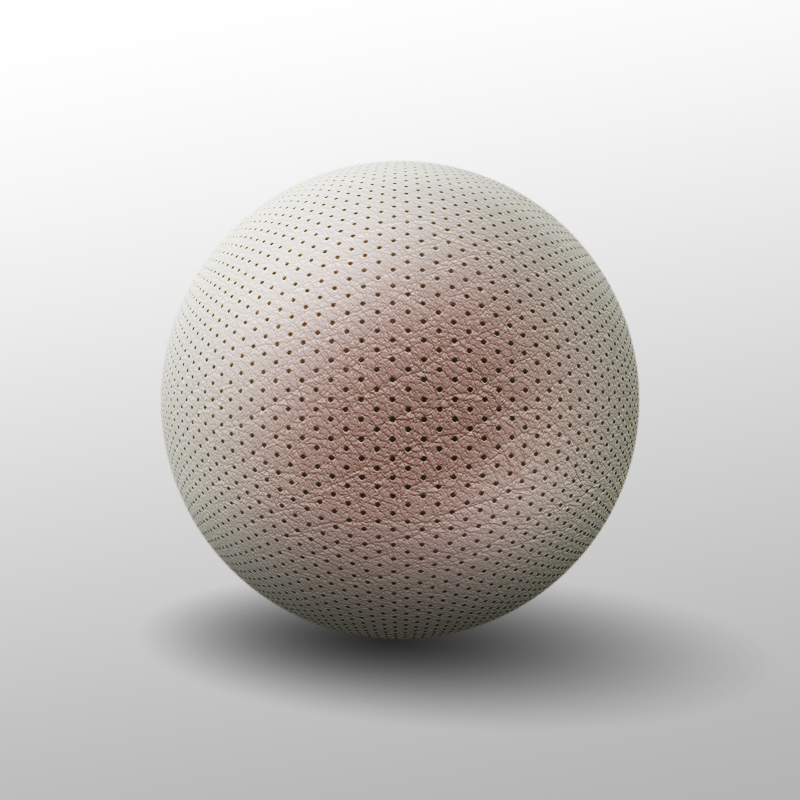 Texture size is usualy different than your model. Press ctrl + T, or cmd + T on Mac to turn on Free Transform tool on selected layer, than scale it down with shift key pressed. This can be quiet tricky. Try to scale it to the size that match your shape. It can overflow your shape with couple pixels, but it shouldn’t be smaller than it. When you are OK, hit Enter. We are almost there. Link texture layer with shape layer. Press Alt, and click between layers you want to link together. 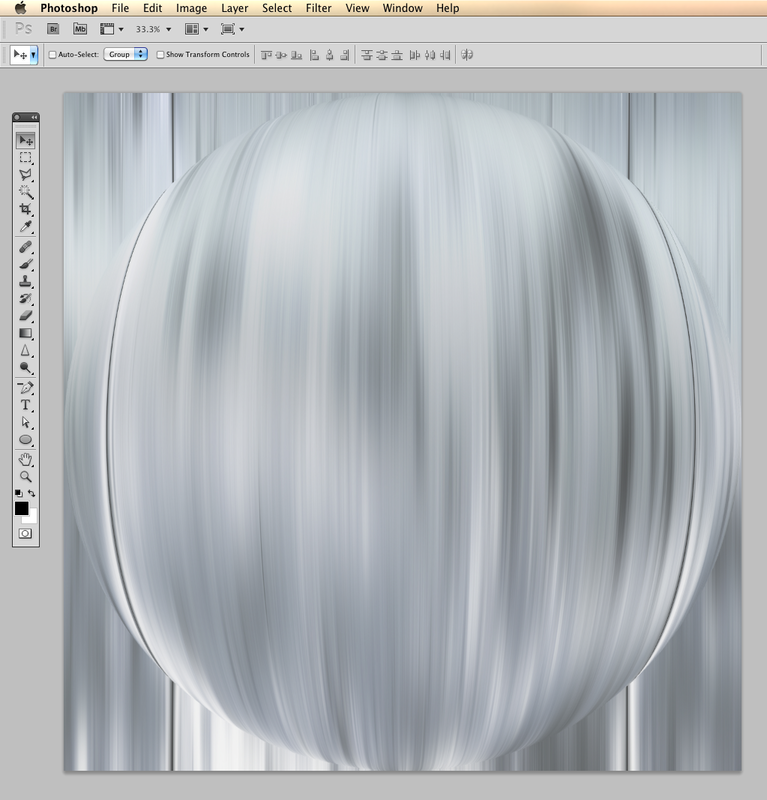 Set blending mode of the texture layer to overlay. After some tweaking i got the final results that i’m happy with. 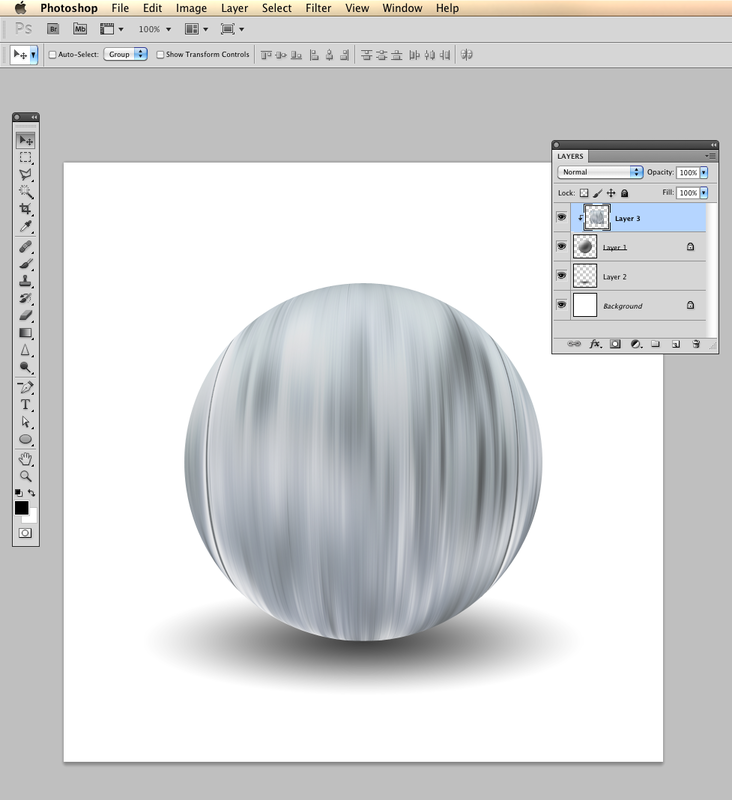 Try different blending modes, and gradients for different results. Checkout some other examples below 🙂 Peace!